Budget 2011 announced that IR35 is here to stay together with a commitment to improve the way it is administered. A key part of this is to “restrict reviews to high risk cases” and this is probably the most challenging aspect facing HM Revenue & Customs and the IR35 Forum, writes Kate Cottrell, a member of the forum and an IR35 specialist at Bauer & Cottrell and for the Office of Tax Simplification (OTS). The clear message from the OTS was that “one size does not fit all.” The OTS report highlighted the many types of worker who broadly fall into the label of “contractor” and the underlying reasons for deciding to form a limited company. Workers range all the way from the ‘agency temp’ standing in for a permanent employee, through to those who made a positive decision to start their own business. Many will fall somewhere between these extremes. In order to restrict IR35 reviews to high-risk cases, it is necessary to identify those taxpayers at medium and low risk too. In essence those falling into the high-risk category are likely to include those individual who should really be inside IR35 and are simply ignoring it, either because of a lack of understanding or knowingly. By segmenting those that may be within the ambit of IR35 into risk groupings (low, medium and high) the overall aim is for contractors to be able to easily identify which group they fall into. With the help of HMRC guidance and supporting tools e.g. the HMRC helpline of IR35 specialists, the customer should be able to reach their own informed decision on their IR35 status. The key to the success of segmentation is to ensure that the segments accurately reflect the situations and behaviours of those within them. A further complication is that inevitably contracting engagements change and consequently this could cause movement between segments, so what started out as low risk could become high risk. For example, an engagement starts out as services to deliver a specific project with milestones and deliverables but the end-client offers a different role covering for, say, maternity leave. The first meeting of the IR35 Forum heralds the beginning of a new approach to IR35. This is the only opportunity we have had in 11 years to establish in ‘black and white’ how HMRC intend to deal with IR35 compliance and which contractors will be targeted for review. The process should result in peace of mind for many people. I’m a contractor, what should I do? The calls for the abolition of IR35 have resulted in the biggest focus on IR35 compliance in the last 11 years. This is no time for complacency. The government has given a commitment to make clear improvements to HMRC’s administration of IR35 and HMRC is, so far, delivering. Add to this, the forthcoming Agency Workers Regulations and IR35 status is also now a focal point for agencies and, for the first time, end clients. But inevitably the advent of the IR35 Forum, and its monitoring role of HMRC’s new approach, will result in a wide range of new IR35 investigation cases, as this will be the only way to test the new processes. For those individuals who have properly considered their IR35 status, the new transparency over the processes and the guidance that will be produced is likely to represent very good news, as they should be able decide their own status. 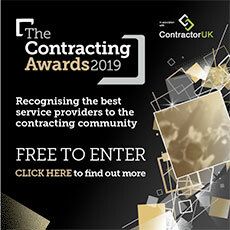 These contractors could see a reduction in their annual costs, previously incurred from, say, IR35 contract reviews, insurances and membership fees to contractor organisations. For those that have largely ignored IR35 and who are likely to fall into the high risk category then now is the time to take action.